﻿﻿Send some cheer this holiday season with our new Three French Hounds© line of greeting cards inspired by the furniture and holiday customs and traditions of France. 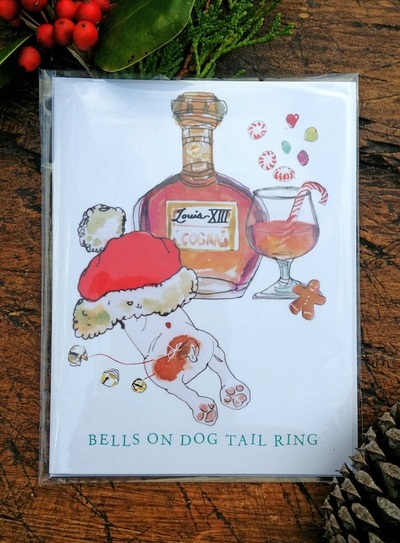 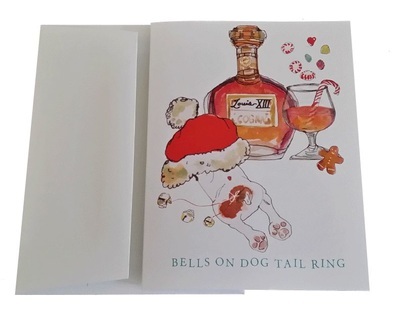 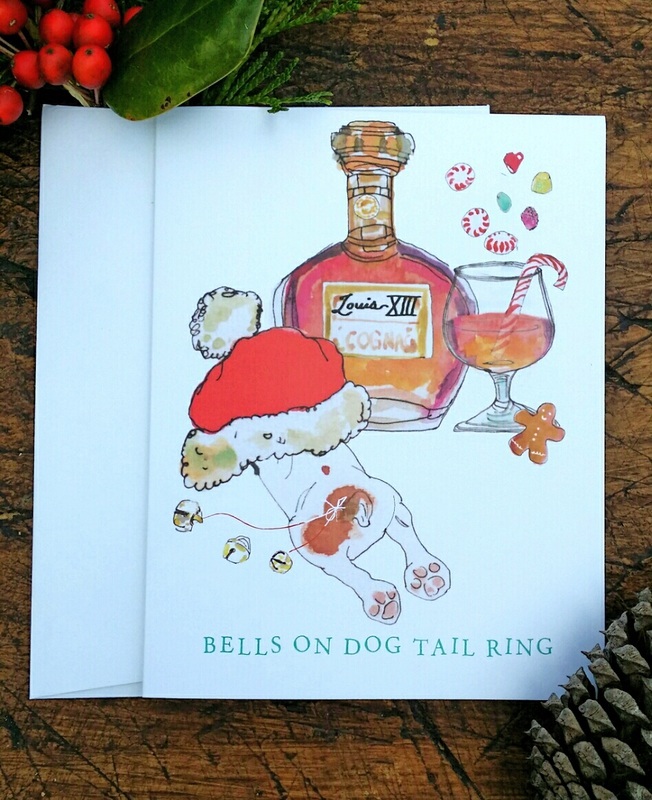 Beautifully printed in small batch on uncoated matte card stock to enhance the original watercolor designs by Nan Richards of Illustrated Gallivant, our jolly doggy cards are a delightful way to exchange greetings with friends and family throughout the holidays. 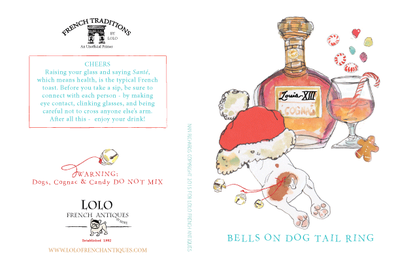 Limited quantities while they last – so order fast! 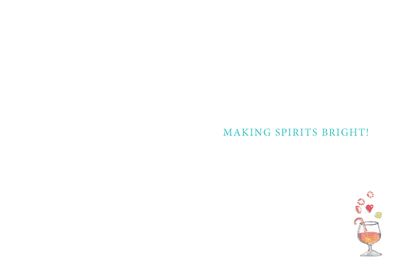 - Inside message reads "Making Spirits Bright"